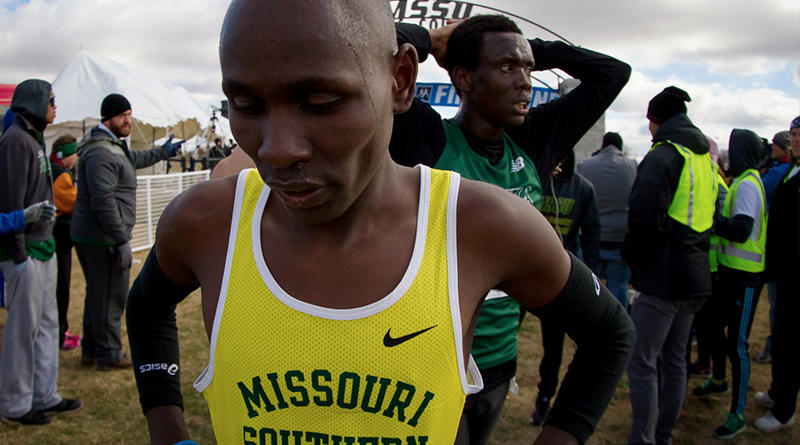 Tampa, Fla. — Missouri Southern sophomore distance runner Vincent Kiprop took the lead about 500 meters into the race and didn’t look back as he won the National Championship at the 2016 NCAA Cross Country Championships hosted by Saint Leo University. The Lions, as a team, placed seventh overall. It is the second-highest finish for a Missouri Southern men’s team in program history, just behind the sixth place finish in 2000. Kiprop completes his 2016 cross country season undefeated and avenges a loss in 2015 as he was the runner up at the meet held in Joplin. Kiprop completed the 10k course in a time of 29:07.4, taking a commanding lead in the last uphill climb where he put more than 100 meters of distance between himself and second-place finisher Alfred Chelanga of Shorter. Chelanga won the title in 2015. Freshman Cody Berry finished 66th in a time of 31:45.6, while Tyler Rush was 71st in a time of 31:51.6. Nickson Kiptoo finished 93rd in a time of 32:11.6, while Jared Haltom and Cristobal Renteria placed 103rd and 104th wit times of 32:18.3 and 32:18.5, respectively. Mike Shanahan placed 126th with a time of 32:43.4. The Lions earned 283 points, placing seventh overall. Adams State took home the team title with five runners in the top 25. Grand Valley State was second, followed by Colorado Mines, Chico State, Alaska – Anchorage, Western State, Southern, Cal Poly Pomona, Coloado State Pueblo, and Saginaw Valley to round out the top ten team scores.